I can’t believe I made it to Machu Picchu. It doesn’t feel real even when I look at the pictures. Getting up at 5am was totally worth every second. We joined the queue in Aguas Calientes and were soon on the bus on the way up. The views on the way up were undescribable. You were surrounded by mountains and could see the river cutting through, at a certain point you cut above the clouds. It was magnificent. Upon arriving we had to climb maybe 100 steps to get to the famous viewpoint. As you rounded the corner to the viewpoint I felt the need to stop in awe. If the view coming up was magnificent, I don’t even have a word for this…. We were given some time for pictures before starting the guided tour of Machu Picchu. 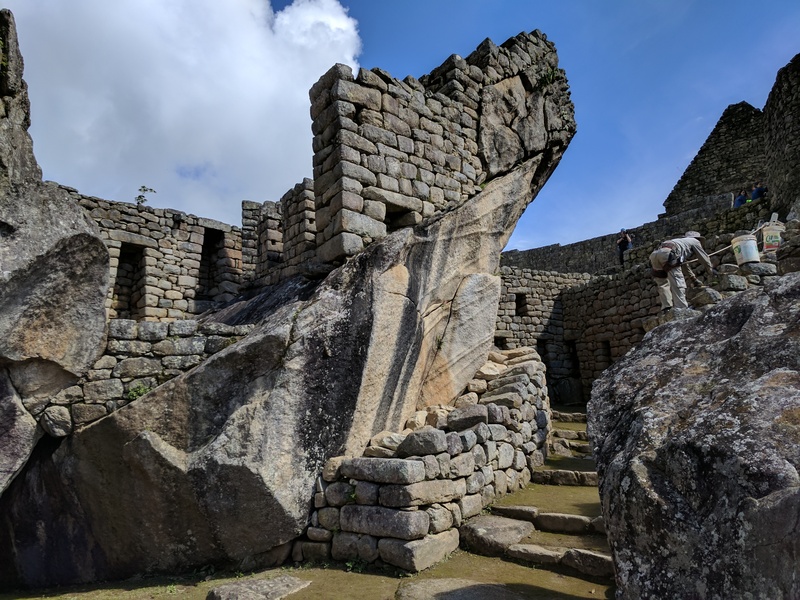 It was fascinating hearing how it was discovered by a professor a long time ago who disregarded and forgot about it as there was no gold obviously found at the site and how the various temples and symbols around the site related to the Inca’s belief in reincarnation and many Gods. Once the tour had finished I decided to take a seat on a terrace for a little while and take it all in. It was a great feeling trying to get the reality of where you were to sink in. How often can you find yourself at a wonder if the world! One of the guys from the hiking trek joined me and we decided to tackle to the stairs to the top guard building to get a good view and photos of course. 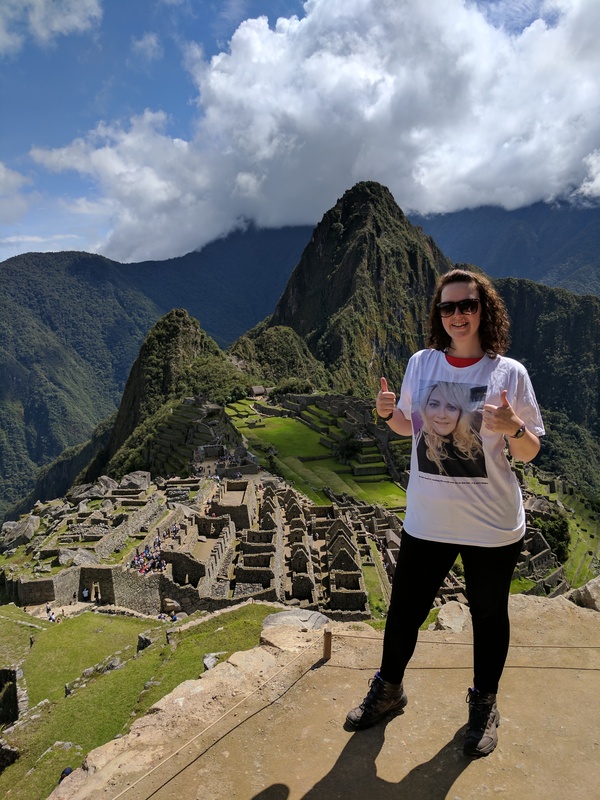 Naturally the bestie had to make it all the way to Machu Picchu. The sun was shining which was amazing but it was so intense, after a few hours I needed to get into the shade and so started towards the exit. At the restaurant by the exit I was reunited with Christine after her trek, it was great to hear all about it and how well they had all done! Back as a little group we headed back to Aguas Calientes to get some lunch. This afternoon consisted of a 2 hour train journey back to Ollytaytambo, then a 2 hour bus journey back to Cusco and our stuff! Safe to say we all hit the laundry hard this evening and all alarms have been switched off for tomorrow…. I Just finished my trip on this amazing land and it was as perfect as yours. Before going i decided to get some guide to have a better experience, i wanted to discover everything from this land and only expert people will make this posible. 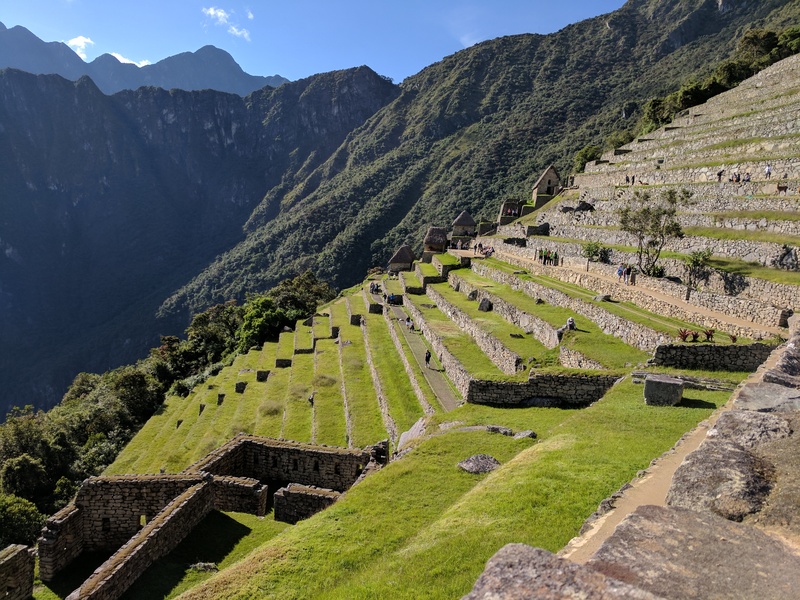 Inka Challenge Peru Helped to me to accomplish my travel and i really would say they are the best guide you can get when visiting Machu Picchu.